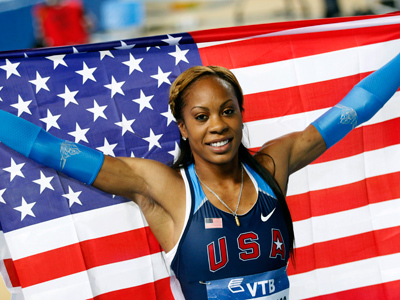 At the World Indoor Athletics Championships in Turkey’s Istanbul, Russia's Aleksandra Fyodoriva claimed silver in the women's 400 meters, but was soundly beaten by American Sanya Richards-Ross on a day her country dominated. Ross finished in a time of 50.79 seconds, nearly a full second ahead of the Russian. “I'm happy that I came out and took the lead early,” said Richards-Ross, who avoided all the hustle when the runners bunched up halfway through the race. The American now feels she has put down a marker for the Olympics this summer. Her victory came straight after a world record was set in the men's heptathlon by fellow American Ashton Eaton, leading the competition from start to finish and capping it with a blistering 1,000 meters. He finished on 6,645 points – 77 better than his previous best. A good day all-round for America concluded when sprint king Justin Gatlin won the men's 60 meters. This was his first gold medal since serving a four-year doping ban. He chased down Jamaican Nesta Carter to win in 6.46 seconds, while Britain's Dwain Chambers claimed third. 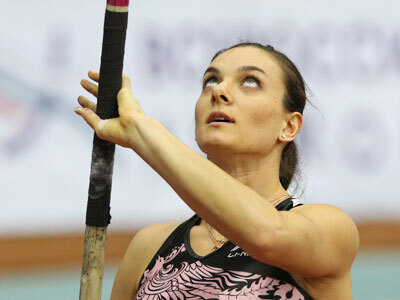 There could be something for Russia, still gold-less at the major event, to celebrate later on today, as double Olympic Champion and world record holder Elena Isinbayeva competes in the pole vault. She only came fourth at the World Indoor Championships two years ago, but has hit form again, setting a new indoor world record last month at 5.01 meters. Australia's Sally Pearson added the indoor world title to her outdoor crown with a dominant win in the 60-metre hurdles. She left Britain's Tiffany Porter 0.21 seconds behind. Britain, meanwhile, got its first gold from 39-year-old Yamile Aldama, a Cuban-born triple jumper who also competed for Sudan before gaining British citizenship two years ago. She won with the season's best of 14.82 meters to beat defending champion Olga Rypakova of Kazakhstan by 19 centimeters. “Better late than never,'' said Aldama for whom it was the first world title.